Soil Nailing is an in situ reinforcing of the soil while it is excavated from the top down. Any array of soil nails which are passive inclusions are installed in a grid that functions to create a stable mass of soil. This mass of reinforced soil functions to retain the less stable material behind it. In the right soil conditions, soil nailing is a rapid and economical means of constructing excavations support systems and retaining walls. In many applications soil nailing can be the least disruptive way to construct a retaining wall. Soil Nailing requires craftsmanship and geotechnical knowledge to construct. The typical construction sequence begins with the excavation of a shallow cut. Then, shotcrete is applied to the face of the cut and soil nails are drilled and grouted. This sequence is then repeated until subgrade is reached. 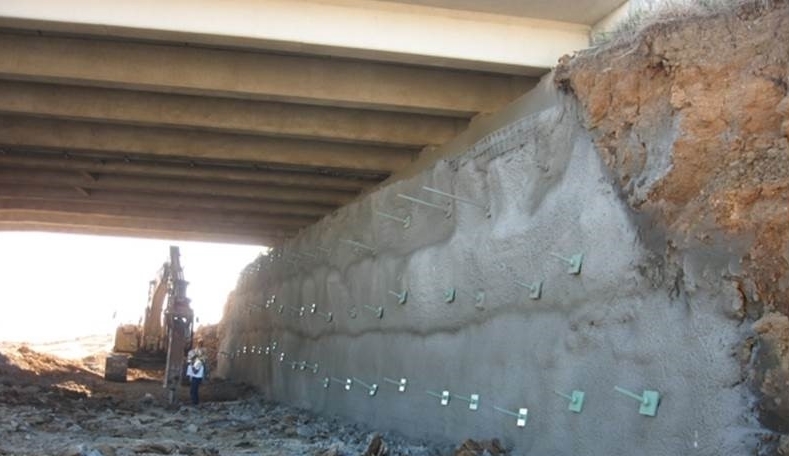 Unlike soldier beam walls, soil nail walls eliminate the need for drilling and installing soldier piles. 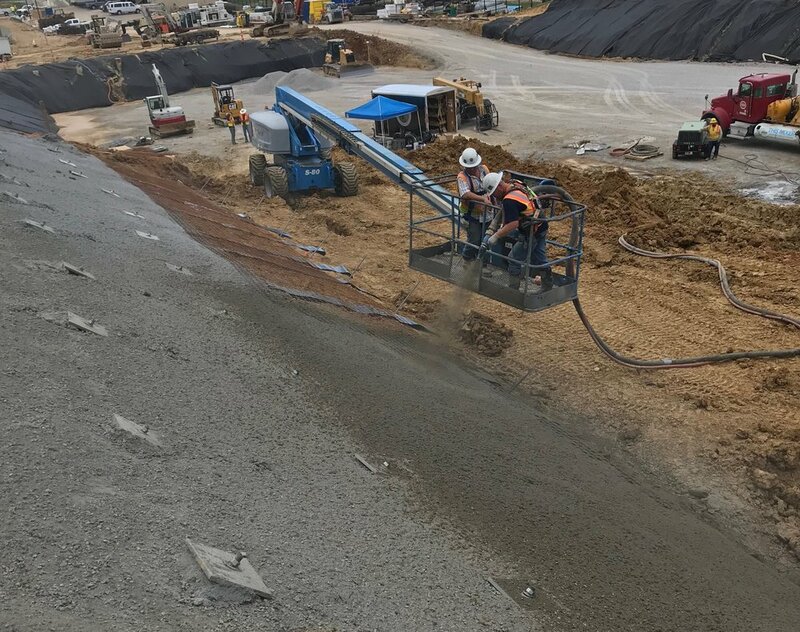 Soil nailed retaining walls can be constructed with a variety of facing options such as, cast in place concrete, finished shotcrete, carved artistic shotcrete, segmental block, precast concrete panels.